India and France sign agreement to allow access to military installations and call for closer cooperation in Indian Ocean region. New Delhi: In a big move towards closer maritime cooperation, India and France signed an agreement to access each other’s military facilities, which could potentially improve the reach and deployment of Indian naval forces in southern Indian ocean. 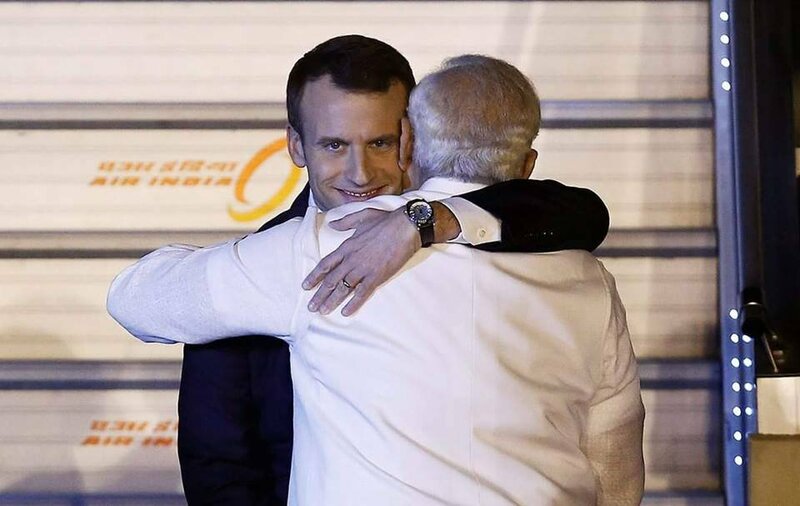 Fourteen agreements were signed on the first substantive day of French President Emannuel Macron’s state visit to India. The key defence agreement signed was for the “provision of reciprocal logistics support between their Armed Forces”. “I consider today’s agreement of the reciprocal logistics support between our armies as a golden step in the history of our close defense cooperation,” said Prime Minister Narendra Modi in his press statement at the end of formal discussions on Saturday. The agreement is similar to that signed by India with US in 2016 which allows the two militaries to use each other’s installations for repair and replenishment of supplies. 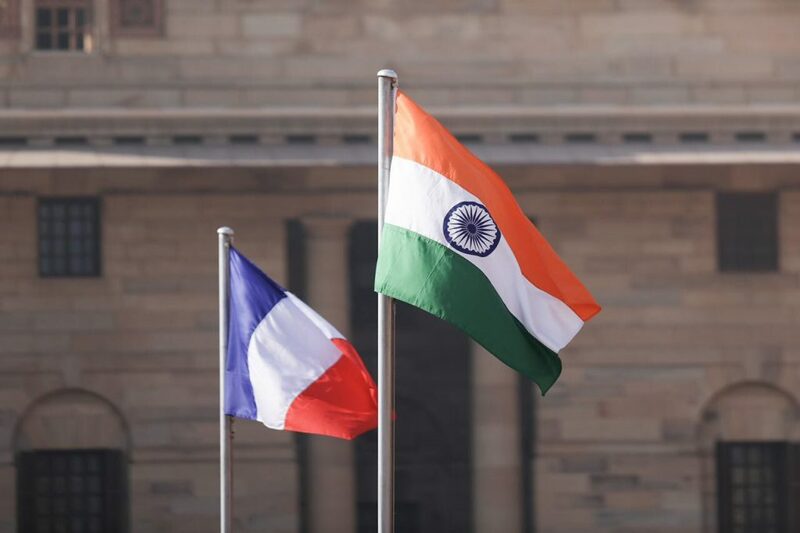 According to the India-French joint statement, the agreement aims to “extend logistical support on reciprocal access to respective facilities for Indian and French armed forces”. The logistical support agreement came in the backdrop of professed closer cooperation in the Indian ocean region. “Both of us believe that in future the Indian Ocean region will play a very important role in the happiness, progress and prosperity of the world. Whether it is the environment, or maritime security, or marine resources, or the freedom of navigation and over flight, we are committed to strengthening our cooperation in all these areas,” said Modi. Echoing these words, Macron also said that stability in the Indian ocean region is “very important for the stability of the entire region, and we are with India for freedom”. The current state visit by the French President was also a throwback to President Barack Obama’s visit in January 2015. During that trip, India and US had issued a separate joint statement on Asia Pacific and Indian Ocean region, with reference to freedom of navigation and overflight which did not go down too well in Beijing. Three years later, “Joint Strategic Vision of India-France Cooperation in the Indian Ocean region” was unveiled by Modi and Macron in Delhi. France has territories in southern Indian ocean with the islands of La Réunion, Mayotte, and the French Southern and Atlantic Lands. It also has a permanent military presence in Djibouti on the Horn of Africa and in the United Arab Emirates. The Indian navy has been making visits to the Southern Indian ocean – and access to French bases would be helpful in ensuring longer deployments. After a change in policy last year, Indian naval ships have now been sent on a mission-based deployment at important ‘choke points’ on international shipping lines that traverse the Indian ocean. India’s recent push in the Indian Ocean to deepen ties with island nations has been largely done to ensure that the Indian flag is more visible in order to counter growing Chinese naval presence in the Indian Ocean. The Indian ocean region is extremely crucial for international commerce. Not surprisingly non-littoral states have an important stake in the region as 80 percent of the trade that goes through Indian ocean is with external countries. Trade between Indian ocean rim countries account for just 20 percent of the total commerce travelling across the high seas. protection of the environment and natural resources, including tackling oil spills; and aid to victims of disasters. For France, India is the entry-point to become a part of the larger security and political architecture of the Indian Ocean. France is a dialogue partner of the Indian Ocean Rim Association (IORA), but it has been clamouring to be a full member. As per the membership criteria, only littoral states can be part of IORA. France claims qualification through its territories in the Indian Ocean. India has been positive about French ambitions in IORA. However, the former French colonies of Mauritius and Seychelles are largely opposed to France becoming a member of the IORAas they believe that their voice in the group could get muffled. But, since decision-making in IORA is done through consensus, India cannot express support for France’s membership openly. That’s why, the joint statement only stated that India welcomes the prospect of France’s “enhanced participation” at IORA. France has also offered that India become a member of the Indian Ocean Commission and encouraged “its growing involvement in European Union projects for the Indian Ocean”. The IOC is a group of five African Indian Ocean states which aims at cooperation on environmental and economic issues. The joint statement referred to the “long standing common history” between India and France’s Reunion Island. The two countries also noted that the next round of Varuna bilateral exercises will focus on “submarine and anti-submarine warfare as well as combating maritime terrorism”. Meanwhile, both sides also agreed to invite “strategic partner countries in the region to participate in Indo-French exercises. Last year, during the second bilateral maritime dialogue, France proposed that there was a space for trilateral cooperation by roping in Australia.